Life Unexpected: When is the right time to move a toddler into a bed? 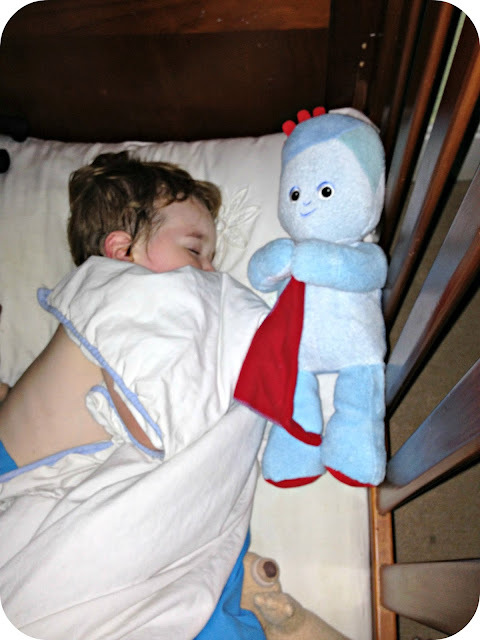 When is the right time to move a toddler into a bed? We are coming to a point now where we are seriously considering when the right time will be to put Leo into a big boy's bed. It is something that we have been giving a lot of thought, and something that we actually tried earlier this year... But it turned out to be completely the wrong time and we reverted back to what Leo was comfortable with. His cot. Leo seems so secure in his cot, and to be honest I am in no real rush to take that away from him. He is perfectly happy but I think the time is approaching for Leo to make the transition from cot to bed. To make this transition easier I have been looking into a very special bed that is sure to put a big smile on his face. A car bed. I know they are not for everyone but to a little boy they are the very things that Christmas is made of. My little guy absolutely loves anything with wheels, so my thinking is that maybe a car bed would be welcomed with a Leo seal of approval? Although it could be perfectly fine until all of the lights go off for the night, and that is when he could decide that he want's his cot back again. When we first tried to initiate the change Leo wouldn't even let me get off the bed, I had to stay with him stroking his head in the hope that it may help him lull into a deep slumber... That of course never happened and the next night the cot sides had magically appeared back on his cot. I do feel more confident in now being the right time, and it is something that we will be giving a try once we have put some pennies together in order to purchase a new bed and mattress for the little guy. Anything to make the change fun and exciting for him, and to take away any in-securities that he may have about the change. For now though I love that Leo is still happily upstairs sleeping in his beloved cot, tucked up with all of the toys that he adores so dearly, and of course blankie. It is actually because of blankie that I am more optimistic about the idea of transitioning Leo into a big boys bed. Blankie seems to make many things a lot easier than they otherwise could have been. I think a car bed will add in the novelty and excitement that Leo needs, and if I could maybe find a Lightening McQueen bed, I think I may score brownie points as 'Best Mummy...EVER!'. What age did you put your little one's into a bed for the first time? How did it go and do you have any tips on when/how to do it? Oh goodness!! Love Iggle Piggle!! Wish they played In the Night Garden in the states again. My kids loved it! Too cute!